Almost 3 Million people a year hike some part of it, as it winds through 14 states, over some of the oldest mountains in the world, with some of the most beautiful vistas in our country. Yet, fewer than 1000 people complete it in any given year. Every hiker has a different reason for taking up the challenge of the Trail. Yet every one of them emerges from the experience changed — a different person from when they started. 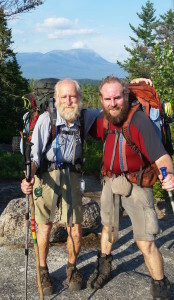 Local Rotarian Bill Sauber and his son Pete completed all 2,180 miles last year. Bill will share with us the highlights of their incredible experiences on August 24th. Whether you’ve hiked it — or never will — their story will transport you to a place as well known and unknown as you’ll ever find. Following the Pledge of Allegiance by Matthew Henry and Past President Fred Levin’s Invocation (a story of Rotary omnipresent fundraising efforts), President Jose Guillen declared that Fred was his Rotary mentor and then they teamed up to open the meeting with a hearty “HELLOOO Rotarians and Guests” which was Fred’s opening line when he was the Club President. 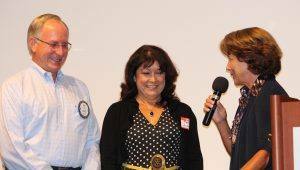 Carolyn Fassi introduced Henry Alker of Sebastopol and Robert Ward of the Garden City Club in Queensland, Australia. Guests today were: Rose Frances (Kim Graves), a new Paul Harris Fellow who once lived in Paul Harris’ Chicago neighborhood, Angela Rizzo (Bill Hatcher), Captain Dan Whipple (Blaine Goodwin) of the Santa Rosa Salvation Army who gave us a briefing on how the SA is helping folks affected by the Clayton fire in Lake County and from last years’ fires. Also visiting today were Patty Kolin (wife of Jeff Kolin), Eric Goldschlag (husband of Past President Marnie Goldschlag). Ginny Cannon reports that Vickie Hardcastle’s husband, (Judge) Allan, had recent knee surgery. No word on his current status, but we hope he has a leg to stand on in court. Our raffle this week was no Lotto or Powerball, with only a $31 pot. Bill Crowley did his part to round up the moola. Ticket winner Doug Roberts didn’t deliver on his part to mooch much of the moola and ended up with $10. Moola is also a town in Queensland, Australia. Cathy Vicini delivered a stunning blonde joke. The punchline wasn’t immediately clear to some in the audience. Hmm…. 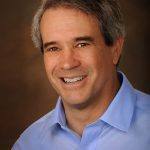 Past-President Doug Johnson was elected the 2017 Giro Bello Director. No, wait, he wasn’t elected. He was ‘selected’ (sound familiar?). Good choice! 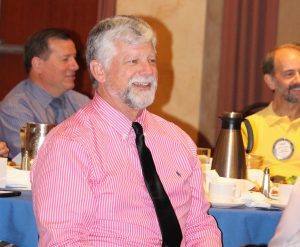 Tuesday, August 30 is a GB planning lunch meeting at Franchetti’s Restaurant. 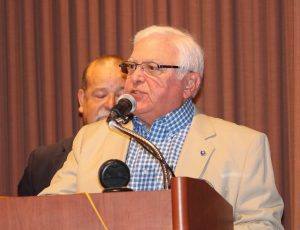 Past President Fred Levin reminds us that the annual Veterans Lunch Program this November 9th will be at the Veterans Memorial building and Captain/Judge Gary Medvigy will be the guest speaker. We can have a great turnout if we each buy two meal tickets and invite a vet. Or, give the tickets to a vet if you can’t be there. We will be hearing more about this as November 9th approaches. Past President Mark Burchill announced that our next “Rotary Means Business” event will be at Franchetti’s Restaurant on September 1. Past President Yale Abrams (what’s with all these Past Presidents lately?) is on the leading edge of the ‘Hands On” projects and tells us to get ready for a workday on September 24. He wants to hear from you also if you were involved with the “Junior Giants” program last year. Rotarians born in the month of August (about 17 of us) were celebrated with the Happy Birthday song and gifts from Kim Murphy for the seven that showed up. Kim Graves continued last years’ torrid pace of recognizing new PHF recipients. Today, Patty Kolin, Elizabeth Karbousky and Rose Frances were presented with their certificates and pins. Rose expounded on her Rotary con nection via her father and some memorabilia of Rotary’s early days in Chicago. President Jose recognized four Rotarians for very different reasons. Jeff and Ann Gospe have been traveling again, to African countries mainly. They brought gifts to President Jose – Zebra pate and currency from Tanzania and Zimbabwe – billions of it! President Jose thanked them, but wanted some $US for their adventure. 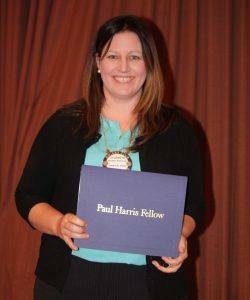 They gave $100 toward Polio eradication (RI Fdn) and $100 toward two Paul Harris Fellowships. Past President Marnie Goldschlag posted a pic of her hubby Eric and Bill Hatcher in an informal setting (ie, beer buddies). Unrelated, Eric had a collision with a motorist while he was cycling in the Tahoe area. He ended up on the worst end of that get together, but he did have a fun ambulance ride to the hospital. It was a hit-and-run incident and now Eric has training wheels on his bicycle, says Marnie. No money was extracted this time. Layne Bowen was involved with a racy photo of protesters holding a banner objecting to Sonoma County public pensions. Layne questioned how he could afford a fine if he wasn’t getting a big county pension. It appeared that President Jose let him off the fine hook this time. Point well made! Kris Anderson gave us an overview of Nobel laureate and Rotarian Stefan Hell and how he broke barriers with his discovery that created a new field of science called super-resolution microscopy. How many years ago was the invention of the microscope? Our Club Assembly was officiated by President Jose and he started with highlighting this years’ Club goals (website /PR improvements, more social/projects to increase club cohesiveness, obtain more grants, work with other clubs, better governance and protocols, prepare for Rotary’s 100th anniversary and to celebrate and have fun while making a difference in the global and local community). Whew, that’s a lot! After that, various committee chairs went from table to table to explain their committees and solicit members. You might say it was a ‘round table’ at the round tables.